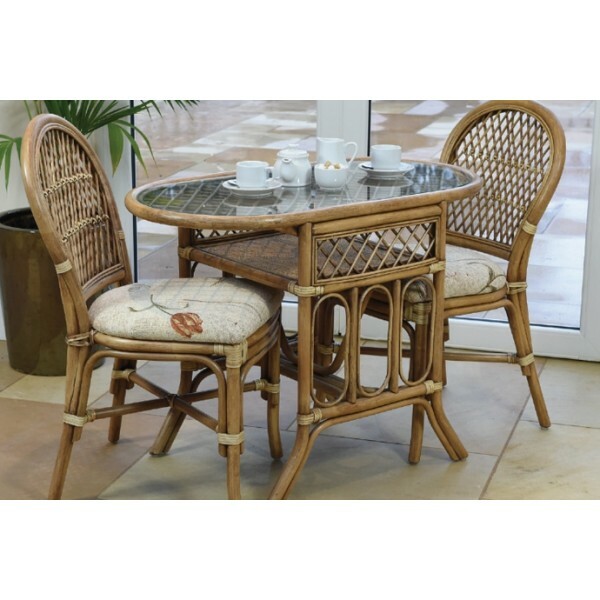 BISTRO DINING RANGE: This range is a Classic simple design and complements many other Natural Wash ranges for those who wish to incorporate dining with their lounging furniture. 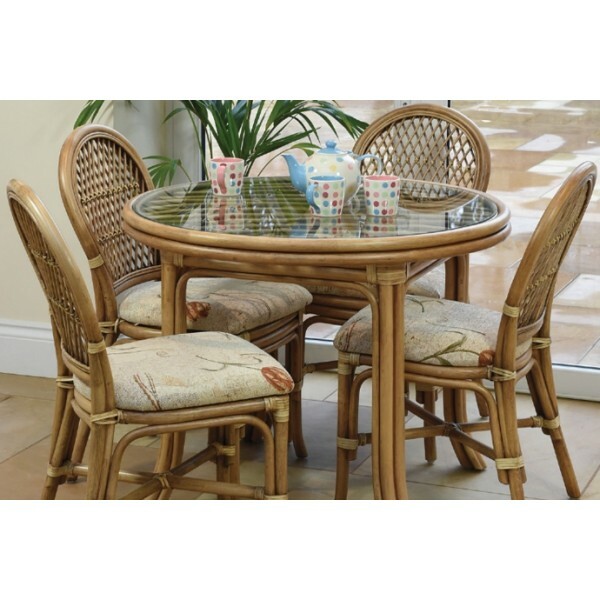 BISTRO DINING RANGE:- This range is available with a breakfast table and 2 chairs or a dining table and 4 chairs as illustrated. 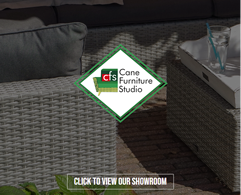 The quality of the tables and chairs is second to none and has been enhanced by the use of leather bindings. The cushion pads on the chairs are fully upholstered and a replacement service is available if you tire of your fabric choice.